Stress can make you feel so overwhelmed that you feel like you are going to blow up or that you want to hibernate or run away forever. 1. Remove yourself from the situation. If you can get away from the room or the building that you are sitting in or stay away from your computer or phone for a few minutes then do it. Take a short walk (slam the door on the way out if you really have to), regroup, breathe deeply and return. 2. Stay away from social media for a while. It really doesn’t help for you to see people whose lives seem to be awesome when yours feels like it is falling apart. You also don’t need to be part of anyone else’s drama. 3. Declutter! Clear your desk, delete emails and messages (not the important ones), get rid of the things around you that are unnecessary. When your mind feels cluttered with your problems, you don’t need physical objects cluttering your space too. 4. Talk to somebody. It doesn’t mean that you have to offload all of your problems on them but just tell someone that you are not coping and that you are stressed. They might be feeling the same way too. If there is absolutely nobody to talk to then write it down or illustrate it so that you can still express yourself. I know that you feel so tired and stressed and overwhelmed right now but it will pass. Just do the best that you can to cope in this moment. I know that you can do it! 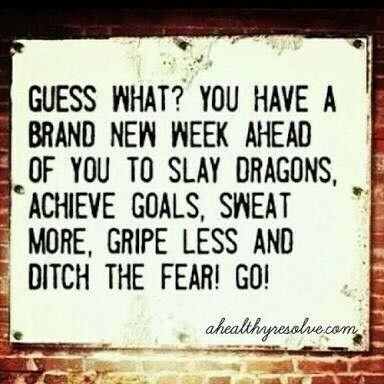 I started Monday with a quote for motivation about how we should go and slay dragons. In other words, we should start the week ready to face our fears and deal with our stressors. It definitely put a spring in my step (well, as much spring as there can be on a Monday morning) and I was really motivated to have a much more positive week than I had last week. 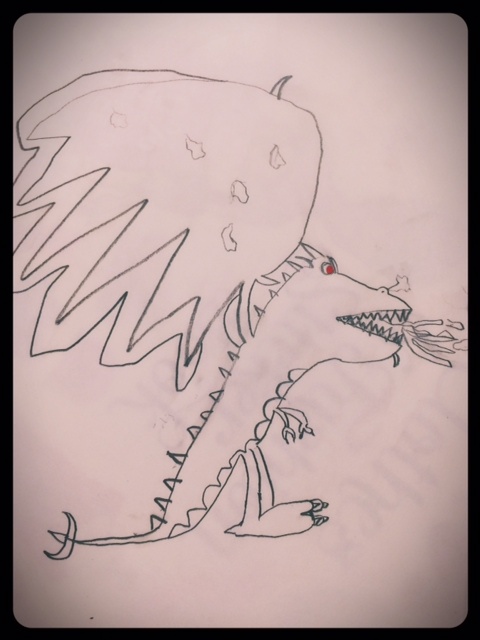 Of course being me, I also felt the need to document my feelings through art and I decided that I should draw a picture of a dragon so that I could have a reminder of what I needed to do. I spent some time looking at pictures of dragons and I was confident that I had an idea of how mean (but not too mean), and scary (but not too scary) I wanted my dragon to look. So far, so good…. Until I took out my sketch pad and happened to grab a purple pencil (of course it would be purple!) and before I know it, my dragon is most un-scary and un-mean dragon that ever existed. So, my dragon is obviously not meant to be ferocious – in fact it was quite the opposite. Which made me think (as I do) that I start off Monday generally feeling a bit anxious about what is going to happen in the week, I always long for the weekend to be just one day longer and I definitely have my share of feeling sorry for myself. But my dragon is not even scary. How blessed am I to have the stress that I do? Compared to other people, my stress (my dragon) is hardly a thing at all. 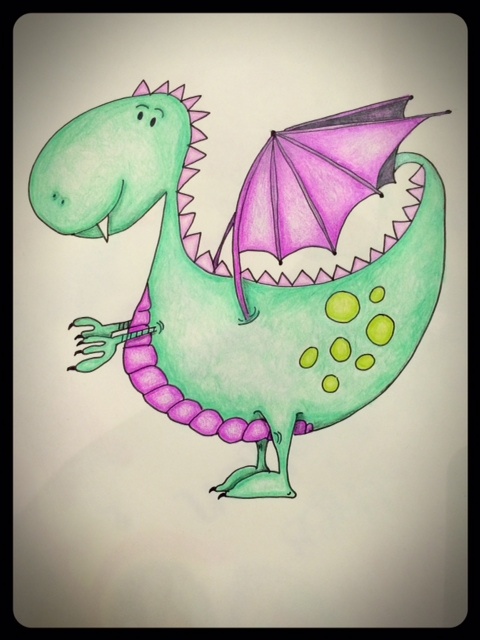 Even my son laughed at my dragon and told me that his dragon was far more vicious than mine. I laughed back because how much stress can he have compared to me? He quickly reminded me that although his stress did not seem like much to me, to him it was big enough to worry him. Everybody has stress but not everybody experiences stress the same way. We are so blessed to have the things that we do have and the opportunities that are presented to us. Would you rather have work stress or be worried about how you are going to survive living in a war torn country? Would you rather have issues in your relationship or be stressing about where you are going to sleep for the night, or where you are going to get food? Yes, our dragons may not be huge, and we should be grateful for that, but they are still our dragons. It is not a competition about whose dragons are bigger or scarier. We still need to gather all the weapons that we need to slay whatever dragon we have in our lives. Be bold, be brave, be a warrior!